Home Travel Have You Ever Dreamt Of Sleeping In A Lighthouse? Have You Ever Dreamt Of Sleeping In A Lighthouse? When we think of a lighthouse, the image of a tall tower with a bright light at the top beaming to warn boats and ships of the dangers is what comes to our mind first. Earlier, there used to be keepers of these lighthouses but due to modern technology, most of the lighthouses have become automated. We all know that we can take pictures of lighthouses, but did you know you can actually stay in one? Imagine waking up in a place where you can see the ocean surrounding you, with seagulls flying above. A place that is so peaceful and picturesque. There are many lighthouses around the world where you can stay and experience the peace. Take a pick. The tallest lighthouse, Pigeon Point in California, is a wonderful historic place to visit. Especially for people who are looking for a peaceful coastal escape or a seaside adventure.The hostel in the former coast guard family quarters, offers affordable accommodation for every kind of traveller.There are places to hike around and secluded beaches. It’s also a perfect place to stargaze. Even though the area is remote, the location is unbelievable. One of the tallest and unique, due to it’s black and white stripes of paint is the West Point Lighthouse in Canada. This one is worth a visit. The inn provides comfortable accommodation, where you can drift off to sleep with the sound of the gently rolling waves and as you watch the spectacular sunset. The most popular site for day visitors and also the most isolated stay is the Roter Sand Lighthouse in Germany. The experience in this rustic place is something different. There is no electricity or heating, guests have to take carry their own sleeping bags and towels, though the kitchen is well stocked. This is not the place for the ones who enjoy their evening drinks as there alcohol is not allowed here as they believe people might get drunk and trip and fall down the old staircases! 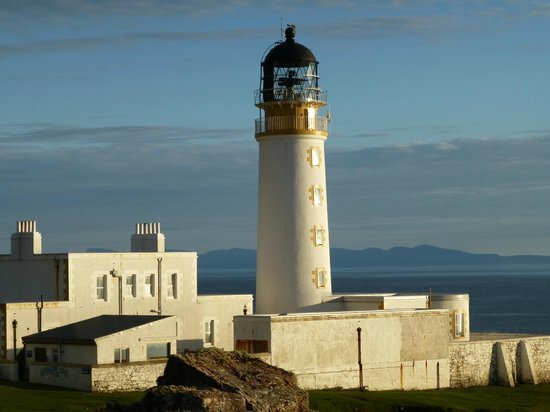 If you have the opportunity to leave the trappings of the modern world and do something extraordinary, get away and try out this unique and new experience of staying at a lighthouse. Have You Heard About Lighthouse Tourism?